The B. Smile whitening kit, non-abrasive and peroxide-free, is an aminoplastic resin gum that deeply cleans teeth and whitens them by removing stains from teeth (tobacco, coffee, tea). Immediate effect. The natural white toothpaste B.Smile is a black dental paste that can naturally find a bright smile, while maintaining the benefits of a toothpaste: complete protection and clean teeth. 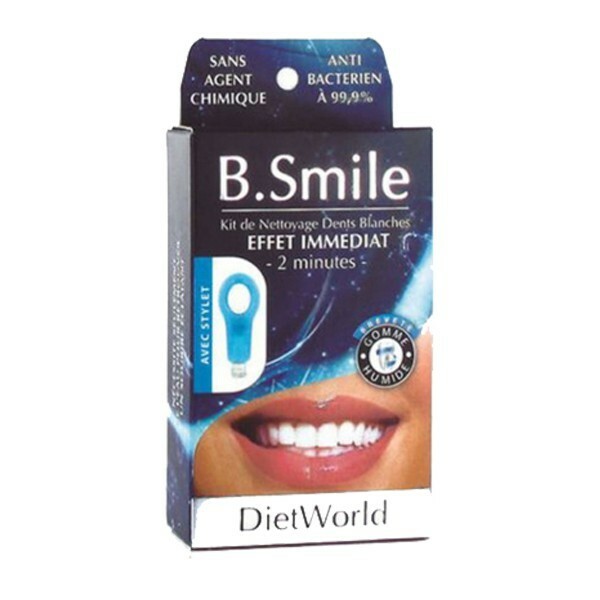 A revolution that ensures whitening of the teeth by bringing all the needs for a healthy and neat mouth. Composed of active bamboo charcoal, tooth whitening dental paste is easy to use because it allows to have white teeth in a simple brushing of teeth. Its anti-stain action is used to eliminate all persistent traces such as yellowed teeth by tobacco, food etc. Sensitive teeth are guaranteed to be treated without gingivitis or bleeding. After only a few brushings, the activated carbon toothpaste makes the teeth much whiter. A sensation of freshness in the mouth, a simple passage of the tongue on the teeth to see them smoother, crisp and clean. B.Smile Activated Carbon Whitening Toothpaste is a natural product that promises good oral hygiene because it cleans and makes the dirtiest, healthiest, shiny, white teeth and fresh breath with its minty scent. - The charcoal toothpast is used as a classic toothpaste and leaves no trace of its black appearance on the teeth. - To remove residues from the dental plaque and deep cleanse, brush your teeth after each meal, on average 3 times a day.